Tucked in a CES press event about smarter appliances and televisions, LG today announced the .36-inch thin Optimus Black: the first smartphone to run on a dual-core processor. 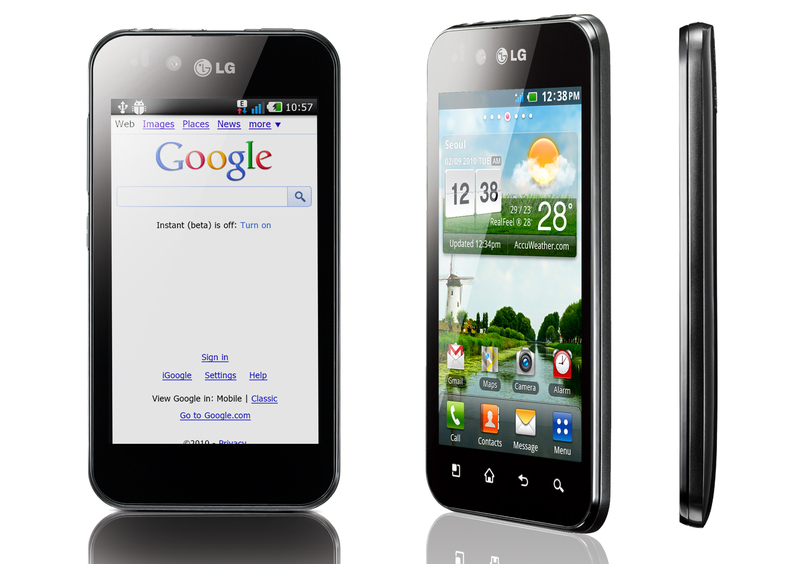 LG previously introduced the handset in a model for the Asian market, called the Optimus 2X. The new phone arrives in North America, where LG today said it derives 25 percent of its revenues, in the first half of 2011. LG is also touting what it calls a NOVA Display on the new Optimus handset, claiming it’s the worlds brightest on a smartphone at 700 nits. The screen technology offers 15 percent more efficient battery consumption, especially indoors where less power is required to brighten the touchscreen. LG says the NOVA Display lowers power consumption by 50 percent during general indoor use compared to conventional LCD technology while competing AMOLED displays consume twice as much power as to display a full white screen. So what will a dual-core chip bring to smartphones? 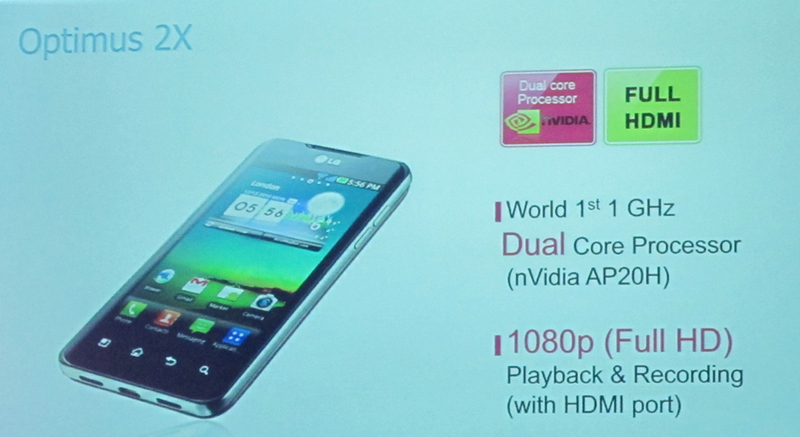 LG expects the Optimus Black to be a “home theater in your pocket” supporting playback of 1080p content, but also capturing video in full 1080p as well though the 8 megapixel camera. An HDMI port can pipe user-generated media to a large screen and also supports full HDMI mirroring. The phone also supports Wi-Fi Direct for faster wireless transfers of video and content. I’m wondering if that will lead to future smartphone apps specific for use on a larger display. The device also sports a 2 megapixel front-facing camera for high-quality video playback. Once it arrives for sale, the Optimus Black will use Android 2.2 (s goog), but LG fully expects the device to be capable of a Gingerbread, or Android 2.3 update. That should bring an improved user experience once carriers allow the upgrade, but LG isn’t waiting until then: a custom UI on the Optimus brings one finger gestures for faster message access and missed call information. And the phone can be configured to take calls, enter camera mode or play music through lifting, shaking or tapping it. LG sandwiched the Optimus Black with announcements of smart refrigerators, stoves, washing machines and televisions, but all of the new devices are tied together through connectivity. The oven can text a phone when a meal is nearly ready, for example. Conspicously missing from the whole lineup were any LG tablet devices, however. During the press event, LG said it would announce a tablet product tomorrow. In the meantime, we mobile users are left with the Optimus Black, which should tide many over until then. And I already got a private hands-on with the device, so stay tuned for a brief video within the next hour or two. I’m confused. Is this the Optimus 2X or is this a different phone? The 2X is officially names Optimus Black? I’m confused!! Will there be a Optimus 2X and Optimus Black on the market?